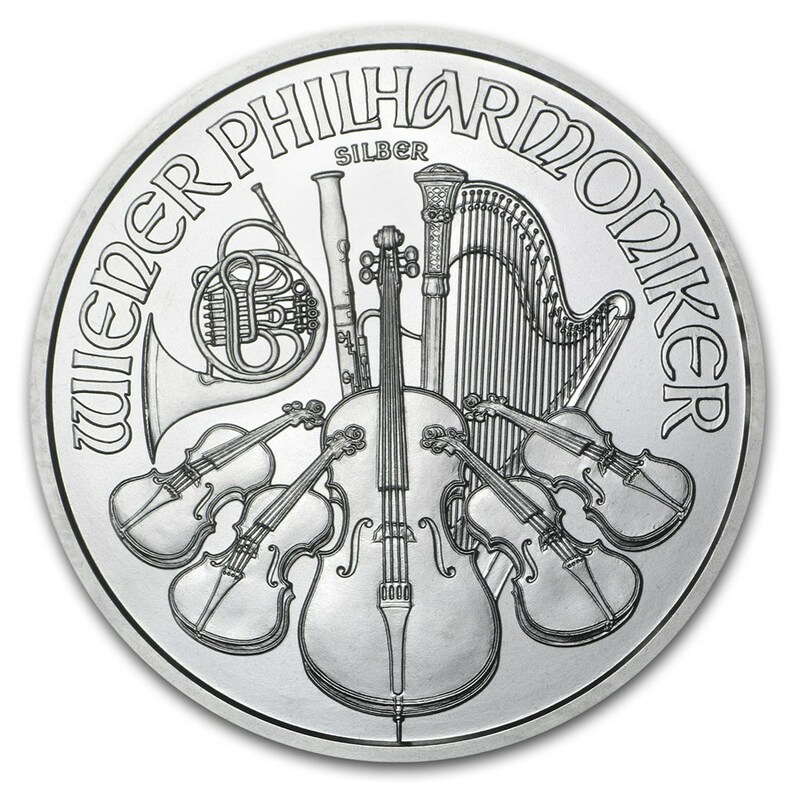 The Silver Philharmonic is the only annually minted Silver Bullion coin denominated in euros. These Silver coins are rapidly gaining worldwide popularity with their .999 purity and beautiful design featuring instruments of the Vienna Philharmonic. Multiples of 20 are packaged in mint tubes. All other coins will be in protective plastic. Obverse: The Great Organ of the Golden Hall in Vienna’s concert hall, the Musikverein, along with the year, weight and face value. Reverse: An array of instruments, including the cello, violin, harp, french horn and bassoon. 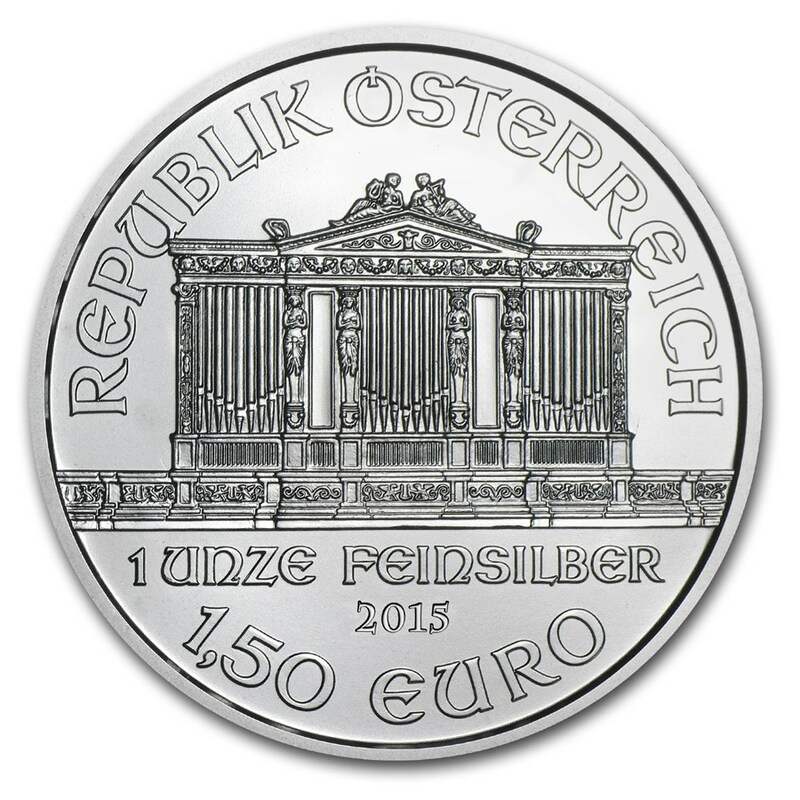 Guaranteed by the Austrian Mint. This stunning Silver bullion coin is loved around the world for its 1 oz metal content and classic, recognizable design. Dates on these random year coins will be of our choosing and may or may not vary, determined by stock on hand. Larger quantities may contain all one date. We guarantee the authenticity and purity of everything we sell. We will buy back any precious metal product, even if it wasn’t initially purchased from us.